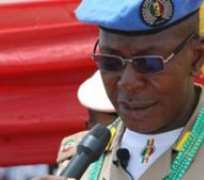 The Federal High Court Abuja,on Wednesday granted the National Commandant, Peace Corps of Nigeria, r. Dickson Akor, bail in the sum of N10m. The court presided by Justice John Tsoho said it was granting the bail to the applicant because the alleged offences were not capital in nature. The judge discountenanced the submission of the complainant that the applicant might influence or interfere with police investigation. According to the trial judge, the position of the complainant “is speculative and mere apprehension”. The judge, ordered the defendant to produce one surety in the sum of N20 million as part of the bail condition. The surety shall be resident in Abuja and must be an owner of a landed property in Abuja, adding that the surety must tender photocopies of title deeds of the property to the Deputy Chief Registrar ( (DCR), Litigation of the court. Tsoho also said the surety was required to submit his residential address which must be verified by the DCR. Also as part of the bail conditions, Justice Tsoho ordered that Akor should deposit his international passport with the court and can apply to the court whenever he wants to make use of it during the cause of his trial. He further directed Akor and the surety to deposit two copies of their recent passport photographs. The Federal government arraigned Dickson Akor, alongside Incorporated Trustees of the Corps, on a 90-count criminal charge bordering on conversion of money directly derived from extortion to the tune of about N1.4 billion. The defendants in the court action are Police, IGP, National Security Adviser (NSA), DSS, DG-DSS and the AGF who are 1st, 2nd, 3rd, 4th, 5th and 6th respondents respectively. Earlier, the defence counsel John Ochogwu, urged the court to grant Akoh bail on self-recognition, adding that the defendant had earlier been granted an administrative bail by the police. Ochogwu added that in the counter affidavit, the prosecution did not oppose the application of bail of the defendant adding, ”we urge the court to grant him bail as we are ready to go on with the trial”. The Counsel to the Police, Aminu Alilu, argued through his counter affidavit that Akor (1st defendant) would likely interfere with the witnesses, if granted bail. The judge adjourned until May 23 for commencement of trial. The Police in a joint operation with the military and Department of State Services (DSS), had at the beginning of March arrested the Commandant of the Peace Corps of Nigeria Dickson Akor and 49 other members of the outfit, with a promise to arrest more operators of unathourised security outfits in the country. The police leadership had recently noted that activities of some illegal security outfits were constituting different kinds of threat to national security, hence it resolved to dismantle them nationwide. Force Public Relations Officer, Jimoh Moshood, had said a joint operation with the military and operatives of the Department of State Services had arrested the suspects in an operation that was intended to dismantle illegal and unlawful security outfits throughout the country “constituting national security threat and threat to the protection of lives and property”. He recalled that recruitment camps opened by the Peace Corps were closed down but other illegal activities of the corps have continued, leading to the operation to clamp down on them to forestall further security threat it poses to the nation. “During preliminary investigation, into the activities of the Peace Corps, it was discovered that they were extorting money from unwary youths throughout the country under the guise of recruitment”, Moshood said. He maintained that the Peace Corps has turned itself into a security outfit without authorisation and establishment by the Federal Government of Nigeria.